We make purchasing a tent very easy but what kind of tent should you buy? 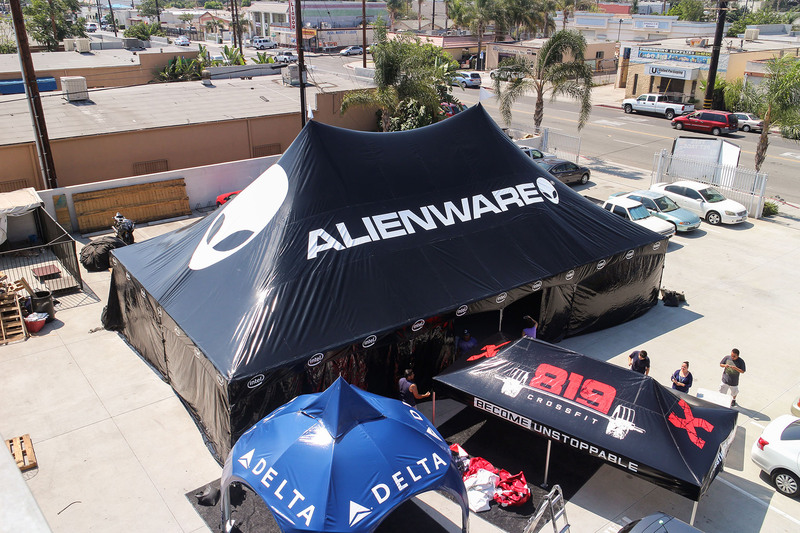 There are two main options when it comes to purchasing a tent for your next event. These options are the frame tent and the pop up canopy. While they serve the same purpose, they have significant differences that we would like to point out to make tent buying easier. The main differences range in material options, warranty options, application, ease of use and transportation/handling of them both. Sizing: Both tents come with absolutely different sizing options/limitations. The pop up tent can only be so big since it is a single collapsible tent, sometimes called an accordion tent, that is all one unit. The more common size for a pop up tent is a 10x10 (3mx3m) but it is available in sizes from a small 5x5 all the way up to a 10x20 (3mx6m) and most common sizes in between. A frame tent is composed of many poles and connectors that need assembly to install the tent. Frame tents are most commonly found in a 20x20 size and they can vary from a small 5x5 to a large 40x100 tents or even bigger. A pop up tent has a peak clearance (the highest point on the tent) of 10' 9" (10 foot nine inches) while a frame tent starts at 8 feet (if the top is flat, although it can be really tall sometimes towering over 20+.) It all depends on what it is you need and are going for with your tent. Shipping/ Transportation: When it comes to transportation, the pop up tent is definitely easier to handle over the frame tent. A pop up tent is a single unit frame that is collapsible. Once bundled, the pop up canopy can be transported rather easily since it doesn't weigh much (the average 10x10 pop up canopy weighs ~70 lbs.) A frame tent is a large unit with multiple parts (at least 20 different parts) that requires assembly and a team of at least two people to install and transport the tent. Frame tents come with tent poles, corner connectors, stakes and of course, the tent top. The smaller pieces such as the corner connectors, stakes and the tent top are all easily packed into bags and the tent poles, which can tend to be at least 10' long, are all stored separately. This takes up far more space than the small bundle a pop up tent is. Not to mention, a 10x10 frame tent weighs roughly ~250 lbs. That's 180 more pounds than a pop up tent of the exact same size! Material Differences: The tent tops on the two types of tents are very similar but a pop up tent doesn't require the extra tensile strength that a frame tent does. The material on a frame tent is thicker and more heavy duty than that of a pop up tent. Regardless, they both hold up extremely well in all sorts of weather conditions. Rain or shine, the tent tops will withstand the elements extremely well. Also, they both have the exact same fire retardant rating and a certificate to prove it, which we include with every tent top. Warranties: A pop up tent has warranties that range from depending on what pop up canopy frame you choose. With 4 different tent frames to choose from the warranty will vary from a 2 year warranty to a 10 year warranty. Our frame tents on the other hand offer a lifetime warranty! We truly believe that our tents will be able to live up to those warranties without a hassle. 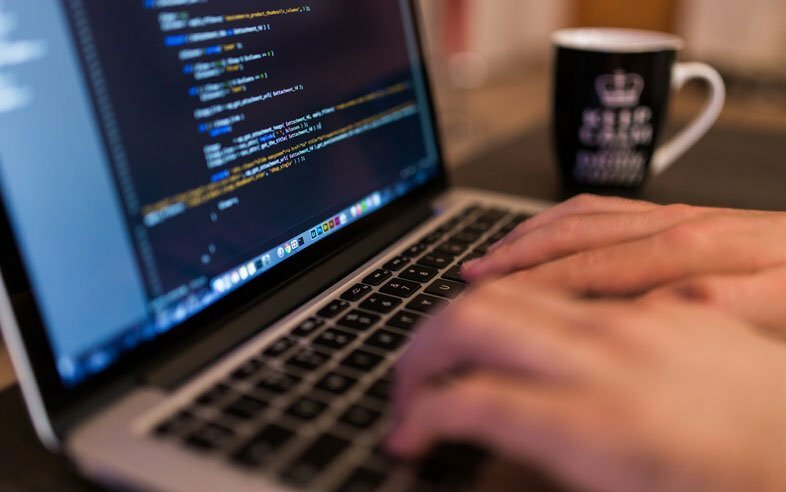 If you want to find out more about warranties check the customer resources section of our website for further information. Ease of Use: There are two main components to every single tent. The tent frame and the tent top. The thing is, these two tents have two very different processes in their installation, take down and overall ease of use. We'll start with the frame tent. As mentioned before frame tents tend to be larger and the parts require assembly. So, how long does it take for a frame tent to be installed? The average 20x20 frame tent takes about 30-40 minutes for a professional to install and another 30-40 for a take down since it requires all of the parts be properly assemble. If it is your first time installing one then it might take a little longer since you have to figure out what goes where and so on. We do provide a video on how to install a frame tent because we understand safety is important and having instructions will help you ensure you're doing it right. 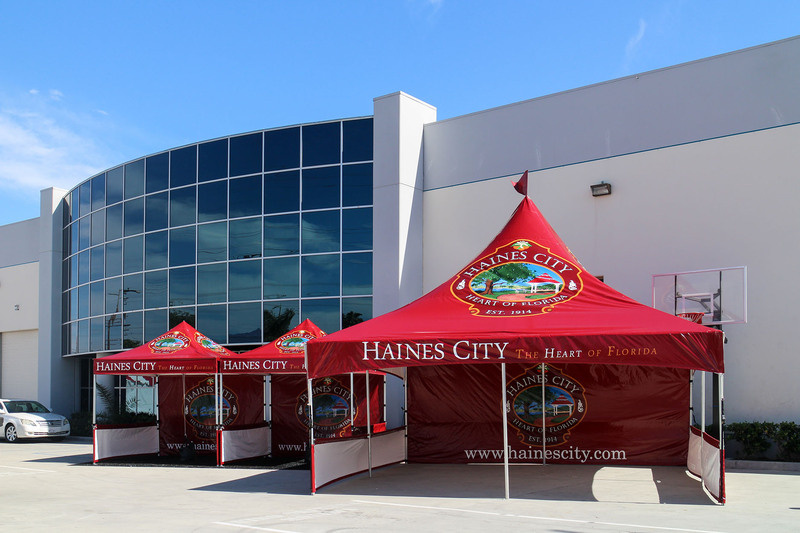 The video below is an example of one of our 20x50 standard frame tents being installed on premises. So, what about a pop up tent? A pop up tent is extremely easy to use when compared to the amount of time and effort it takes to install a frame tent. They call them instant canopies for a reason. 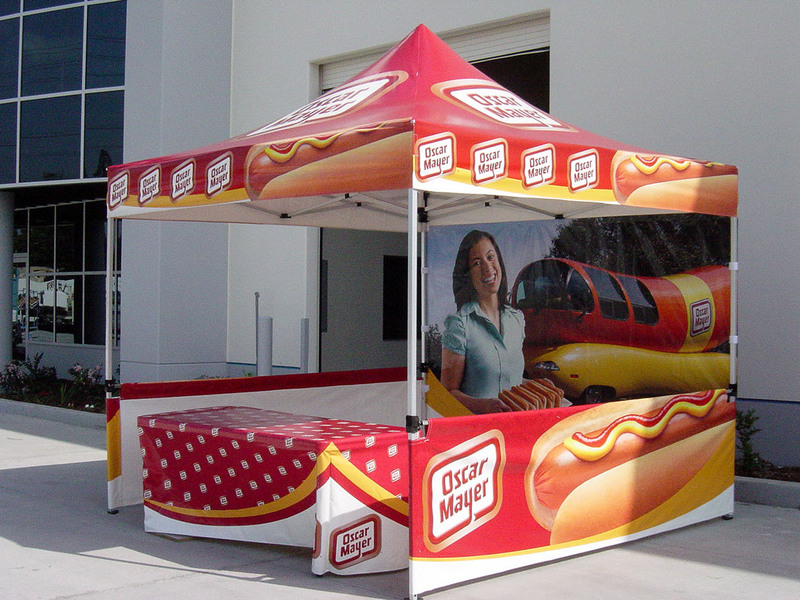 Wether you're a pro or not it takes roughly 5-15 minutes to install a pop up canopy and the take down is just as fast. Using a pop up tent is super easy because of the intuitive design the frame offers. As a matter of fact, here is a short video of a pop up tent setup. Long term Installation: While the pop up canopy is meant for short-term events we have devised a pop up that is heavy duty enough to be installed for many months at a time. This is our heaviest duty canopy called the Gorilla Max and it is a pop up tent that we have outfitted with an 8 year warranty. We have some of these tents installed at Disneyland for their security entrances all over the park. A frame tent is meant to be installed out for long term events or even for outdoor situations. For example, car dealerships install their tents for 6 months to a year at a time and sometimes even longer. That is how heavy duty these tents are. So, which tent is right for you? If you are still undecided, just give us a call and we will work with you to figure out which tent is right for you. Let us know how big or small you need the tent to be and we will provide you with multiple options for you to choose from.